We work hard to keep your personal finances in order and ensure you get the best income tax return that you’re entitled to. We let you know exactly what you can claim, what receipts you need to keep and how to maximise your return. 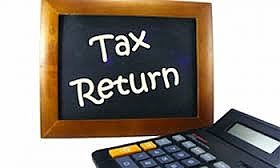 Our aim is to make your income tax return as stress-free as possible to give you more time to do the things you love. Our clients trust us to get the job done as expertly as possible. ©2018 by Action Accounting Service.